For all aspiring and emerging fashion designers! Join us for an evening all about fashion design. This panel discussion will consist of local designers who have beat the odds to achieve monumental levels of success, including designing for celebrities, television/film, and being featured in international publications. Topics will include discussions on the realities of the fashion industry as a designer, along with the importance of personal branding, professionalism, and knowing your aesthetic and buyer etc. A brief Q&A session will follow so prepare your questions! TRAVIAN VANN, free spirit, no rules, and pure fashion for women. Specializing in glamorous bespoke wedding/ reception gowns and formal wear. Travian Vann garments are timeless and for any occasion. The brand was established in December of 2012 by lead Designer Travian Vann and her husband Jeremy Vann after several years of successfully running a women's boutique. Travian began sewing in 2012 after her mother taught her some basic sewing skills. Soon after, she fell in love with designing and her career took off from there. With the help of her husband Jeremy, the brand has excelled in its own lane creating year round season designs for women all around the world. The TRAVIAN VANN brand has been featured in fashion magazines, fashion blogs, celebrity red carpet events and television appearances. TRAVIAN VANN has designed for celebrities such as Iyanla Vanzant, Erica Campbell, Jazmine Sullivan, VH1 shows, SWV for the Soul Train Lady of Soul Award, TV Host/ Personality Tanisha Thomas, and many more. The VANN atelier is located in the heart of Downtown Hampton. This is where the magic happens! Marcel Ames, was on track to join the ranks of the Richmond Police Department circa 2014. About 2 months shy of graduating the academy, he suffered from a concussion during training. Following months of physical therapy and treatment, he was unable to return. Shortly following his injury, the loss of his father and home left him searching for a new career and outlet to deal with the loss. When unable to secure an assistant designer position, Marcel taught himself graphic illustration, design, and sewing; Paired with a passionate obsession for classic menswear, he formed the brand X of Pentacles in 2016- offering luxury unisex accessories and Neapolitan Style tailored clothing. Some of his biggest successes to date have been having his products shown at Pitti Uomo 93-95, being published internationally in Plaza Uomo Sweden, GQ, Richmond Mag, and most importantly being embraced by the Richmond community. Live life, dress vibrant and share your story with everyone; that is the beauty of being you. Stitchbychanel is about wearing what makes You stand out and what makes You, You! SBC has the perfect outfit, at the perfect price, for whatever walk of life. SBC brings women together to make fashion come alive. Chanel Green, a Richmond native began her fashion design business four years ago in order to illustrate to young women that anything is possible! She provides the fashion industry with a different perspective combined with a reinvented belief familiar to the 70s-- “I wear what I want”. Chanel’s positive spin on fashion gives the everyday woman a definite way to always feel and look beautiful. Her grandmother had dream, her mother had a dream and she will complete the dream!!! 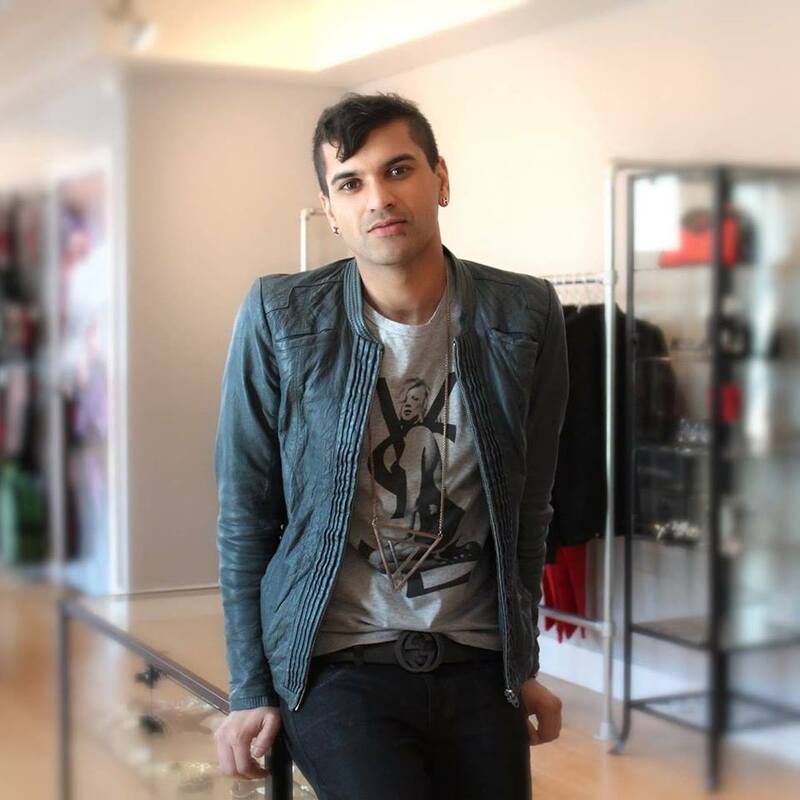 Early on in his career, Mateen Khan, worked with a few high end avant-garde labels, most of which focused on edgy, fun, free spirited garments. Through this he developed and incorporated his design aesthetics to create MK Vendetta. After successfully launching his own resale brand in 2012, Mateen mostly focused on mainstream fashion production/ buying which lead to a broad understanding of the industry and its impact on the environment. After several years of researching production methods, combined with developing his own skills, Mateen launched MK Vendetta in December 2016. The label, which stands for affordability, ethical sourcing, production, and a sense of community has been a passion project for him ever since. Although small, in the short time since MK Vendetta launched, it has had the honor of working with numerous celebrities, been featured in magazines, films, TV shows and publication for its design and concept.